Developed by the British studio Perchang, in collaboration with Games Workshop, this turn-based strategy game is a continuation of the warmly acclaimed 2013 production. 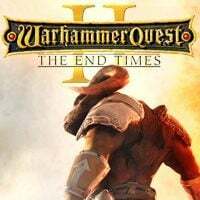 Warhammer Quest 2: The End Times is a turn-based strategy game that continues the story from its predecessor – the 2013’s Warhammer Quest. Unlike the previous installment, which has been developed by Rodeo Games, the sequel has been created by a British team – Perchang – in cooperation with Games Workshop – a company that in 1995 developed the original minifigure battle game sharing the same title. Among other platforms, the game is available on AND and iOS. Warhammer Quest 2: The End Times picks up the story from its predecessor. The world faces impeding doom brought by the agents of Chaos. Having no other choice, all the feuding races join their forces to, hand in hand, face the advancing threat. Warriors, Battle Mages, Witch Hunters, Dark Elves, and the Dwarf Assassins team up and together go to battle against the common enemy. Like in the previous installment, the action is presented from a top-down perspective, and the gameplay builds on the exploration of the underground labyrinths as well as fighting encountered enemies. The battles feature a turn-based system that utilizes attack points one can spend to mount an attack or use special abilities. As the enemies often attack in groups, players have to work out successful strategies and properly deploy particular members of the team. As the story develops, a player can improve their characters’ stats and gain access to more powerful pieces of gear and artifacts, providing his team with a tactical advantage on the battlefield. Even though the first installment in the series looks quite impressive, the visuals of Warhammer Quest 2: The End Times are bound to please most players. Both the locations and character models that have been polished to the smallest detail deserve a high praise.